This recipe is so easy with an Anova Sous Vide Precision Cooker. Just gently place the egg in the water set to 146ºF and let it cook for 45 minutes. A soft boiled egg is perfect with toast, but we like to put them on just about everything we eat (seriously). 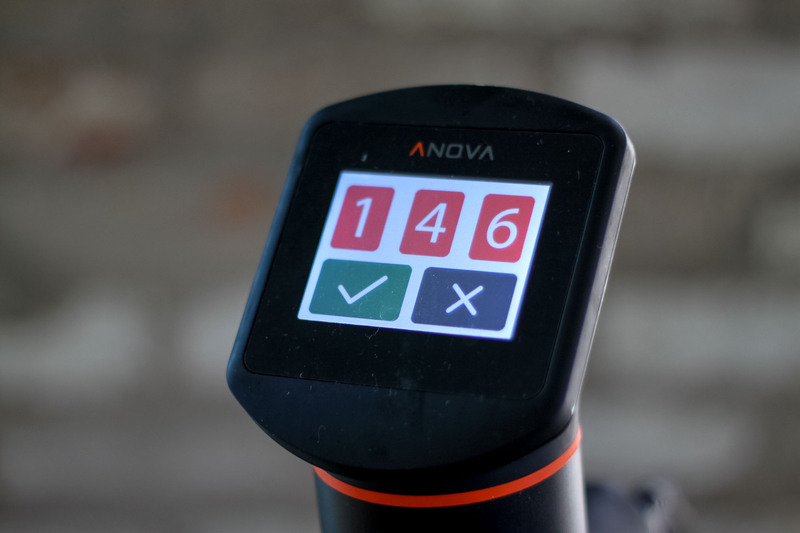 Set the Anova Sous Vide Precision Cooker to 146°F (63°C). Using a slotted spoon, gently place the eggs in the water bath. Set the timer for 45 minutes. When the timer goes off, gently remove the eggs from the water bath using a slotted spoon. Serve immediately or transfer to an ice bath and chill for 20 minutes if serving later. To re-heat, place in 135°F water for 10 minutes.